Real Madrid may have ended the year badly, but Zinedine Zidane has been named French coach of 2017 for leading the club to a Liga and Champions League double. 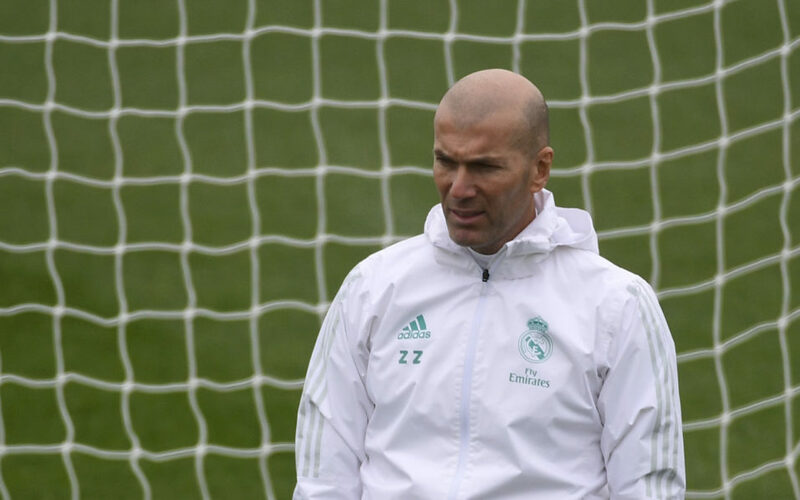 “I want to show that I can also be a good coach in tough circumstances,” Zidane said in an article published on Tuesday in France Football magazine, which gives the award. Real are going through a bad run. They are fourth in La Liga, 16 points behind leaders Barcelona, and they ended 2017 with a crushing 3-0 defeat at home in the Clasico. On Sunday, they were held to a 2-2 draw at Celta Vigo. “Today, yes, the danger is there, but I’m not going to change. I am aware that I have in front of me great players who listen to me. Playing football, I know how to do that. So things will sort themselves out in the end,” Zidane said. “Some people may think that everything is always easy for me, that I do everything from instinct, but that’s not true! Whether it is as a player or as a coach, I’ve always worked,” said Zidane. “I’m not protected by what I achieved as a player for this club. Zinedine Zidane is no longer a Real player. That Zidane does not exist any more. Now it is the coach Zinedine Zidane who must create a career,” he concluded. His side will continue their defence of the Champions League against a French team coached by a Spaniard when Real take on Unai Emery’s Paris Saint-Germain in the first knockout round on February 14 and March 6.